Some girls have no money, but they have their beauty. 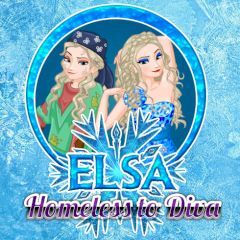 Elsa is exactly that kind of girl, so she can look cool in trash clothes. Sort them and choose something interesting for Elsa. then she turn into a diva and can buy anything she wants. It's time for fun and experiments, but you must compare before and after.